The latest issue of CoroCoro Magazine has leaked out new information about Pokémon Ultra Sun and Ultra Moon (via Serebi.net). 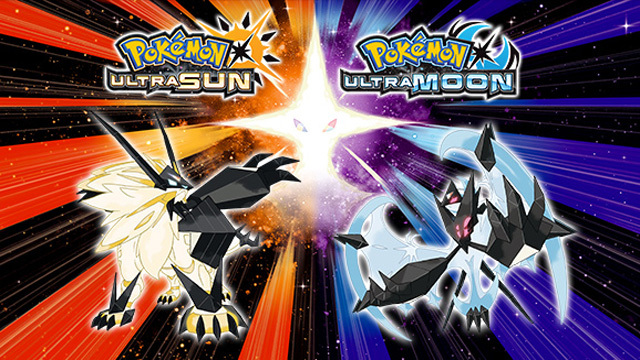 The new appearances of Ultra Sun and Ultra Moon‘s cover monsters have been seen since the game’s June reveal, previously believed to be forms of Solgaleo and Lunala. This issue of CoroCoro reveals that they are actually new forms of Necrozoma, a Legendary that is seen in Pokémon Sun & Moon’s post-game. Appearing when Necrozoma absorbs those two Legendaries, they are named “Necrozma Mane of Twilight” and “Necrozma Wings of Dawn”, and each have their signature moves as well: Sunsteel Strike and Moongeist Beam. This construct will be familiar to players of Pokémon Black 2 and White 2, where Kyurem similarly absorbed the power of Zekrom and Reshiram for its new forms. Another page of CoroCoro shows the exclusive Z-Move of Lycanroc, Radical Edge Storm. It does a heap of damage and clears the battlefield of terrain effects. Any form of Lycanroc must know Stone Edge in order to access this move. Only a Rockruff given to USUM players via a distribution beginning November 17th will be able to evolve into its Dusk Form, and only between 17:00 and 17:59 at level 25. It will know the ability Own Tempo. All this premature Pokémon news will likely be included in today’s Nintendo Direct via a trailer, airing 6 PM EST and 3 PM PT. We’ll update the article as it develops, including the localized Western names of the new forms and new Z-Move.